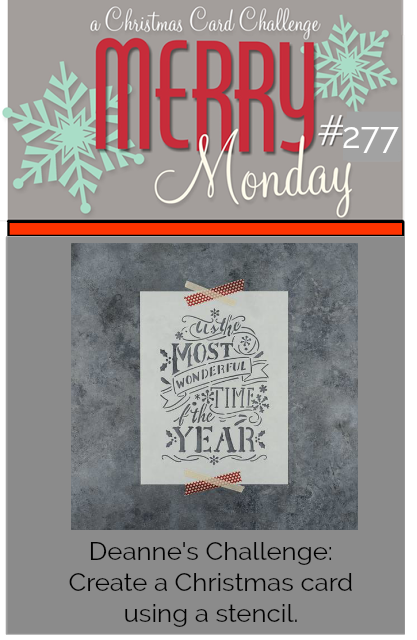 We have a new Merry Monday Christmas card challenge, Deanne is our hostess and her challenge is to Create a Christmas card using a stencil. I ink blended the background of my card then applied glass bead paste over it using a stencil. I die cut the top panel then added it using a layer of foam tape. I finished with a sentiment. 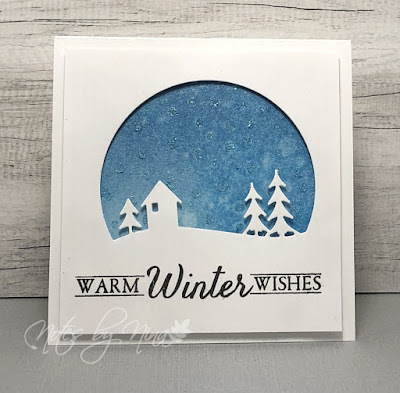 Supplies: White cardstock, Papertrey ink - Two Feet Deep, Memory Box - Coountryside Circle, Faber Castel - Glass Bead Paste, GRS Studio - Distortion. Stop by the Merry Monday blog to take a look at all the fantastic cards created by the design team. 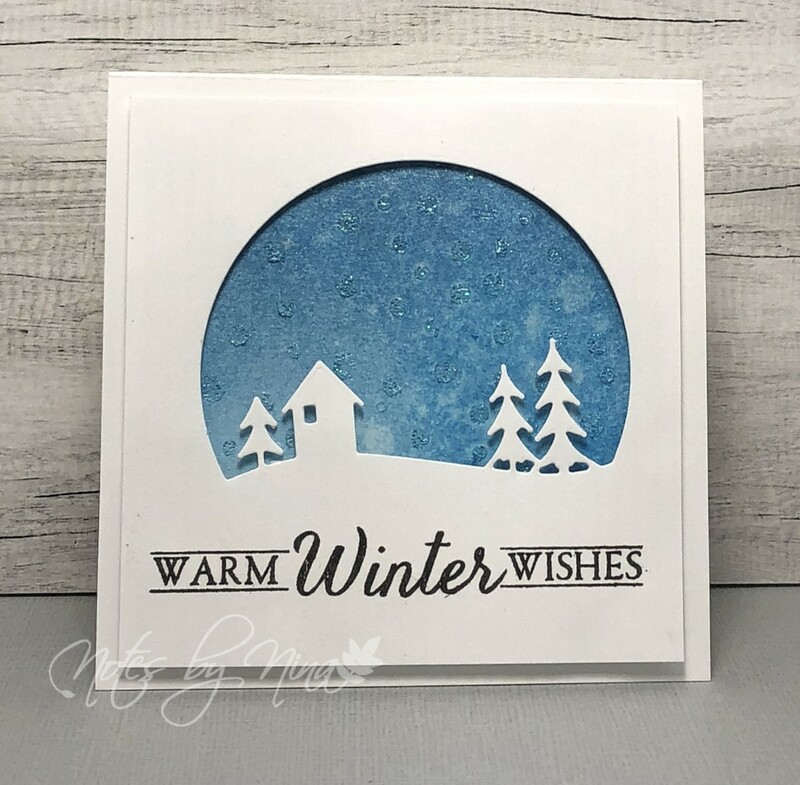 Wonderfully CAS design Nina, lovely Christmas card. what a gorgeous sky you created, Nina! Perfect for the white winter scene!! Gorgeous card...love your beautiful sky! This is beautiful! Crisp and clean! Great job! So pretty, Nina. Love that background. Have a great week. Nina, This is so lovely your cute snow globe scene. Hope your having a great week.